Well, this is the cover for the June issue, but I’ll post the August cover when that issue comes out… with my story “Wakers” inside. I’m looking forward to it. Keep an eye out for the issue. It should be out in early July. This entry was posted in fiction and tagged asimov's science fiction, asimovs, novelette, science fiction, science fiction short story, space adventure, space opera on 25 May, 2016 by Sean Monaghan. 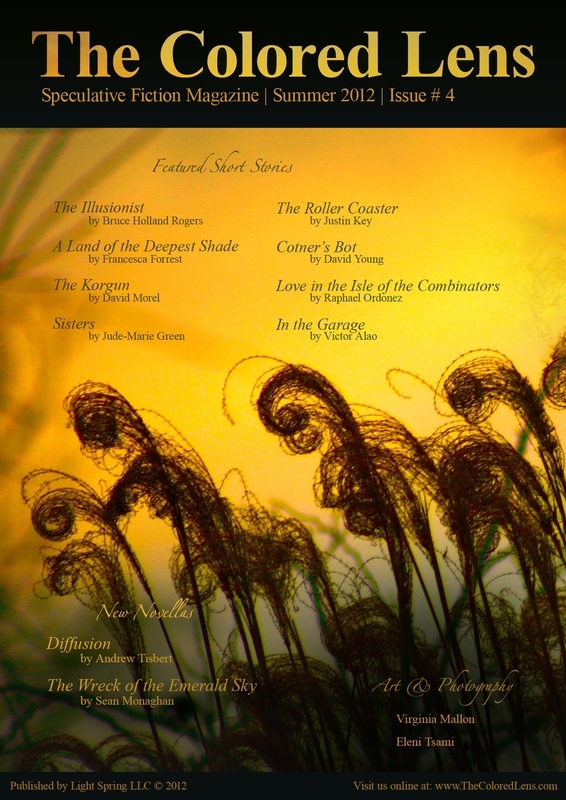 My novella The Wreck of The Emerald Sky has just been published in The Colored Lens. Filled with bright, imaginative speculative fiction, The Colored Lens is a quarterly, available on Kindle for $2.99. 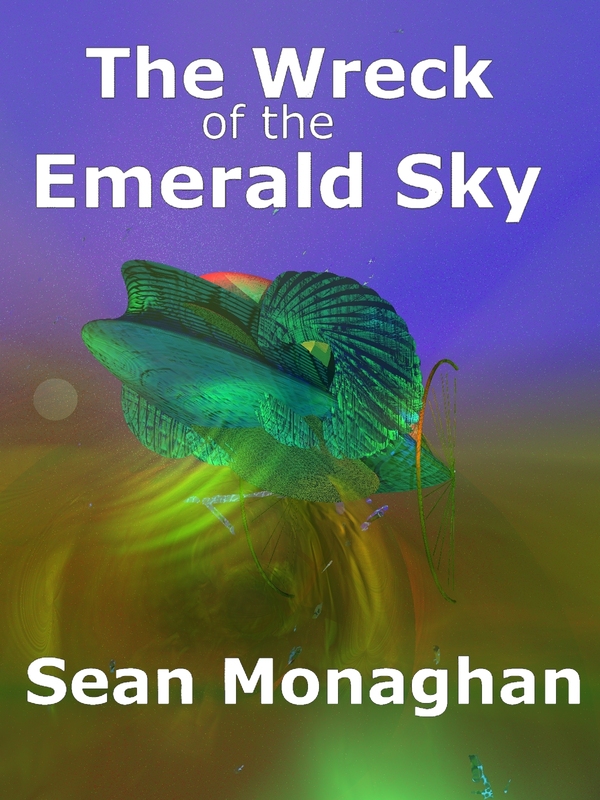 The Wreck of the Emerald Sky is a sci-fi adventure story set in my Barris Space universe. If you’ve read my stories “Barris Debris” in Deep Space Terror or “Eltanin Hoop Anomaly Rescue” in Will It Go Faster If I Push This?, then you might be familiar with the setting. Derel Larsen sat bolt upright in the bed as his ear-roll chimed. He was halfway to Meriam’s room before he realized that the chime wasn’t her security alert. It was just a phone call. “Larsen,” he said, thumbing the connect. He kept going towards Meriam’s door. “Larsen?” a voice said. One of the controllers at flight. Jamie, Larsen thought. Nice woman, even if she did have to confirm his name right after he’d said it. “Medical leave is over, sport,” Jamie said. This entry was posted in fiction and tagged ebook, kindle, novella, science fiction, space opera, the colored lens magazine, vacation, writing on 20 June, 2012 by Sean Monaghan.